In a large heavy bottomed pot, prepare pasta according to package directions, adding broccoli during the last two minutes of cooking. Rinse and drain well. 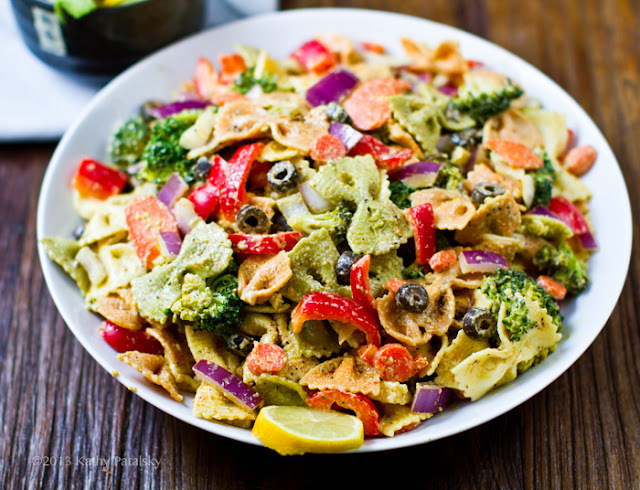 In a large bowl, combine pasta, broccoli, carrots, tomatoes, and radishes. In a medium bowl, stir together dressing mix, buttermilk, mayonnaise, and, if desired, basil. Add to pasta mixture, tossing to coat. Cover and refrigerate for at least 2 hours. Stir before serving. Add sea salt and pepper to taste. Garnish with basil, if desired. End.